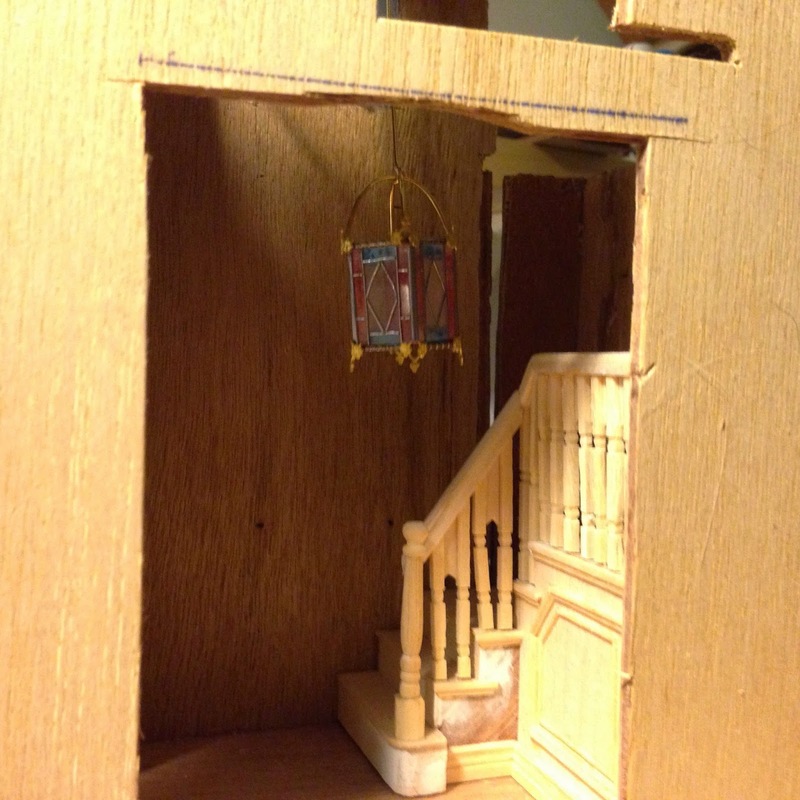 I have been searching for some light fittings for my half scale dollhouse, however, in this scale I have not been able to find any affordable lights which are not clunky and look out of scale. I did find some that were nice but were about $150 - $200 each, which is too much if you want to light a whole house. So, I decided to make my own. The first light fitting I need to make it the entrance hall light because it will be closest to the lighting pack (which will sit under the stairs). 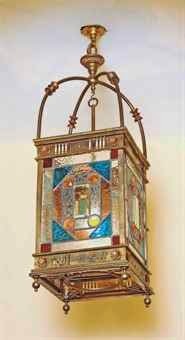 I decided on a Victorian hall lantern. I love these lanterns so much! There are many different styles, but the common elements include leaded stain glass in simple geometric patterns, and quatrefoil patterned edging. To make my little lantern, I first found some cheap, thin bangles. I also tracked down some fancy jewellery wire with a nice gothic-type pattern. 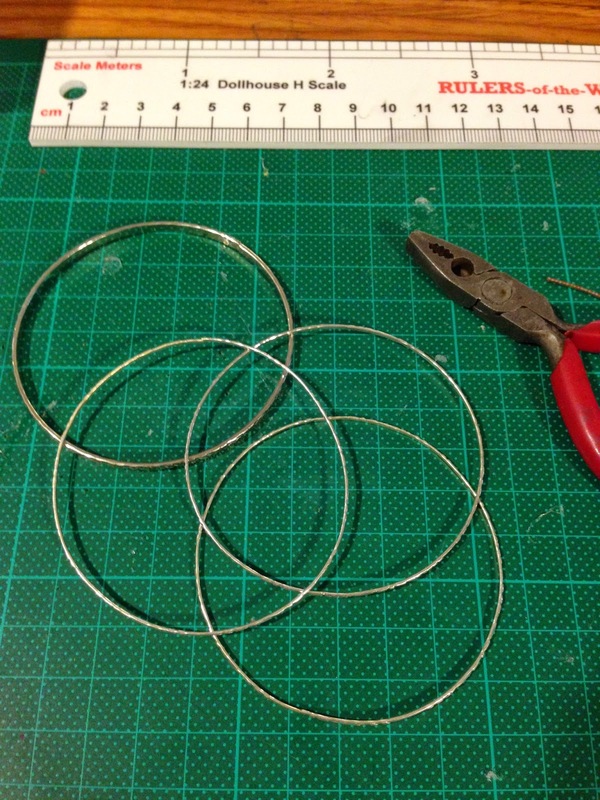 I cut the bangle into 8 equal lengths to form the top and bottom frame of the four sided lantern. I then cut small sections from the decorative wire and used them to cap the edges of the frame, top and bottom. I then bent two lengths of wire for the "handle" on the top. I then glued these two lengths on as you can see below. Once the top and bottom frames were done I cut four equal rectangles from acetate for the glass. These glued into a cube easily using a plastics glue. 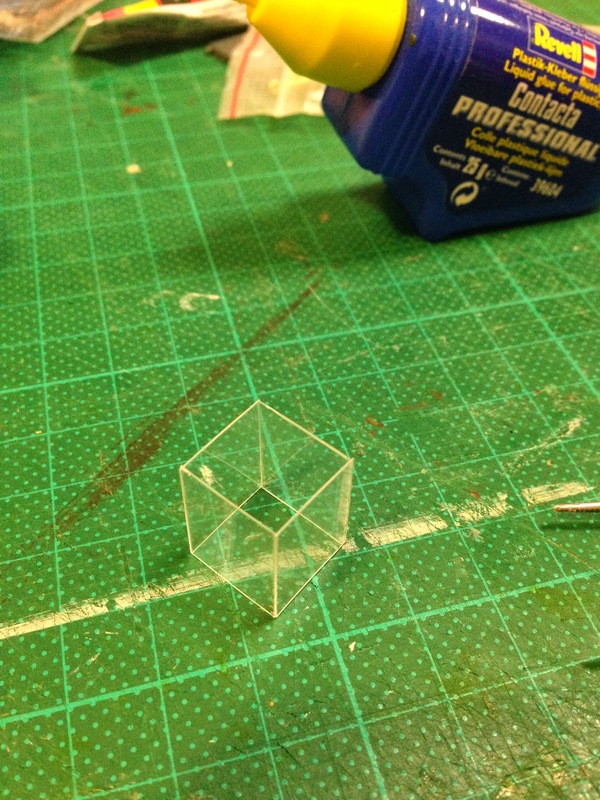 Then I popped the top and bottom framing sections onto the acetate cube. 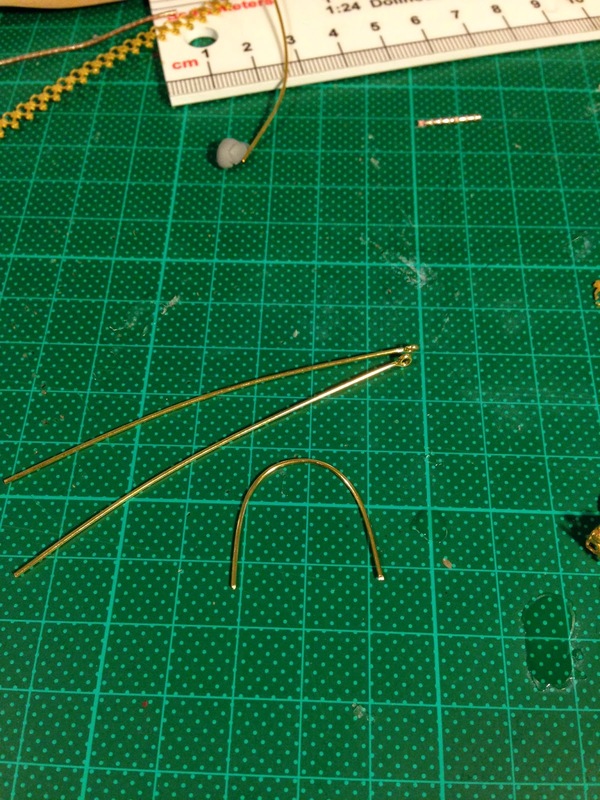 Next I used a length of gold tape to use for the leading (bought from a gold supply shop). This is thin lead strip tape with an adhesive backing which can be cut into very thin strips and simply stuck down to look like leading on glass. 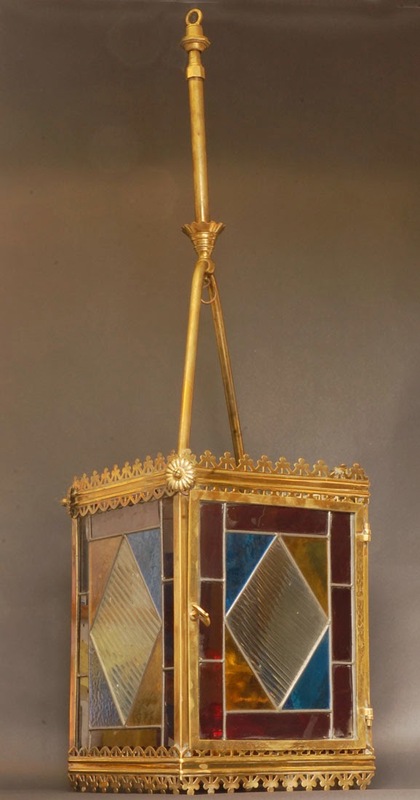 I also used it to cap the four side edges of the lantern. 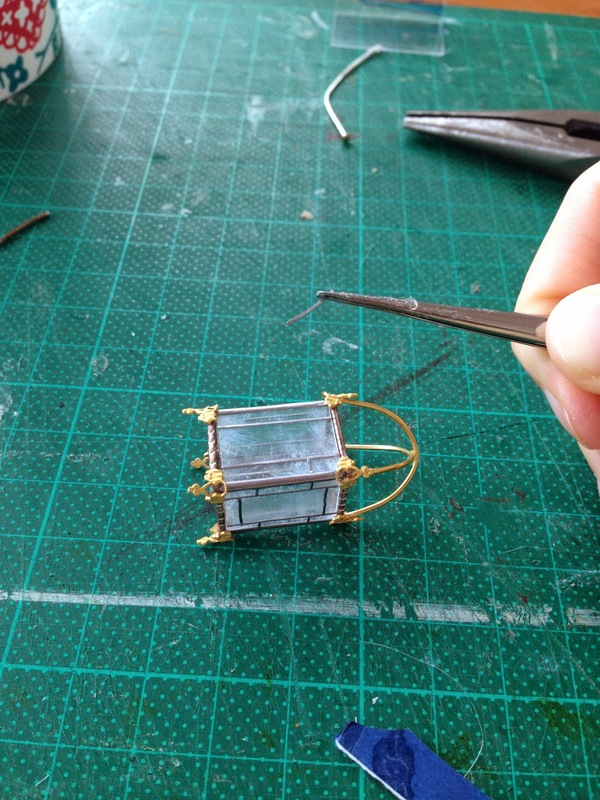 The use of super glue to glue the metal frame to the acetate oxidises the acetate, thus making it a little cloudy. I personally like this because I think it makes the glass look old. I bought glass paints to colour the acetate however (after spending a lot of money on the paint) changed my mind because it did not give a smooth finish. 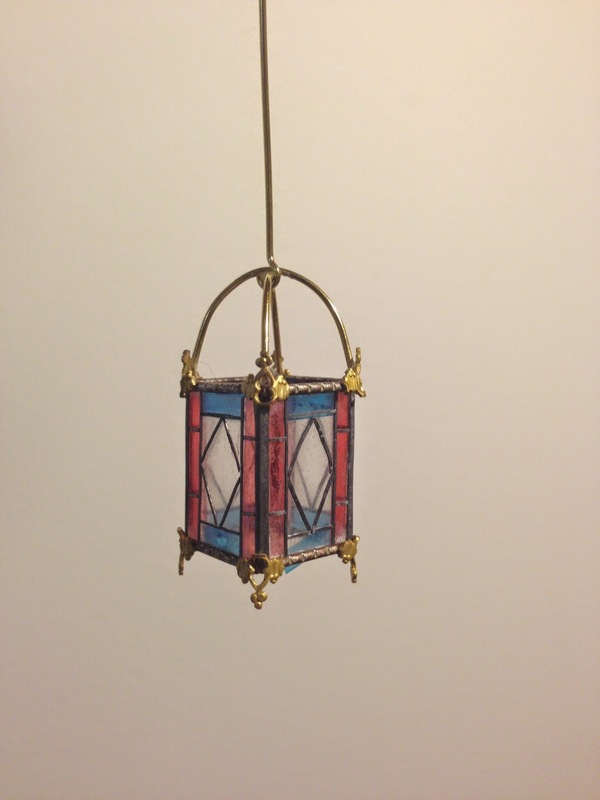 Instead I bought coloured cellophane, cut it into pieces and glued it to the inside of the lantern. The outcome is surprisingly real and effective! 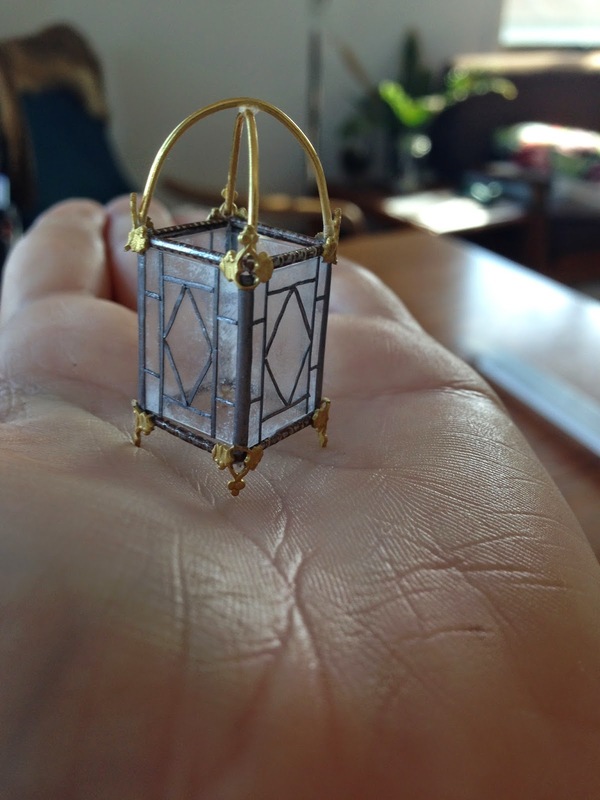 Im still debating whether I have made the lantern the right scale for the hall. I feel it might be a tiny bit big. I guess it will become more clear once the other finishes are in. I have been thinking of making some more to sell on Etsy (in both 1:12 and 1:24). Thoughts? 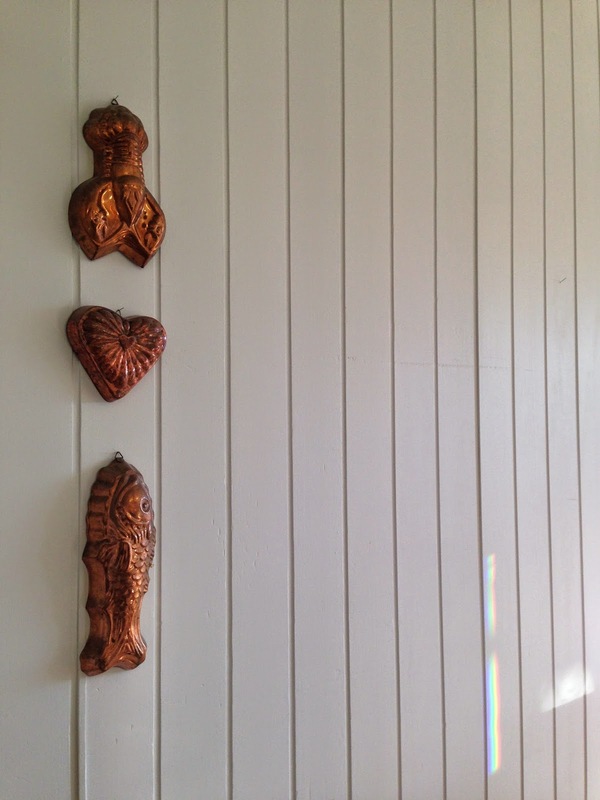 You may remember that I built a tiny patisserie for my sister when she opened a patisserie with her partner in Maitland (NSW) called Icky Sticky Patisserie. She set it into the counter of the patisserie for her customers to enjoy (the smaller ones in particular). Since I was in Sydney for the Sydney Miniatures Show I stayed with my sister and now have an update on how the patisserie has faired. My sister came along to the miniatures fair and picked up a few new accessories for her patisserie. This included some cakes, a bunch of flowers and a little bit of greenery which were arranged in the patisserie with care. 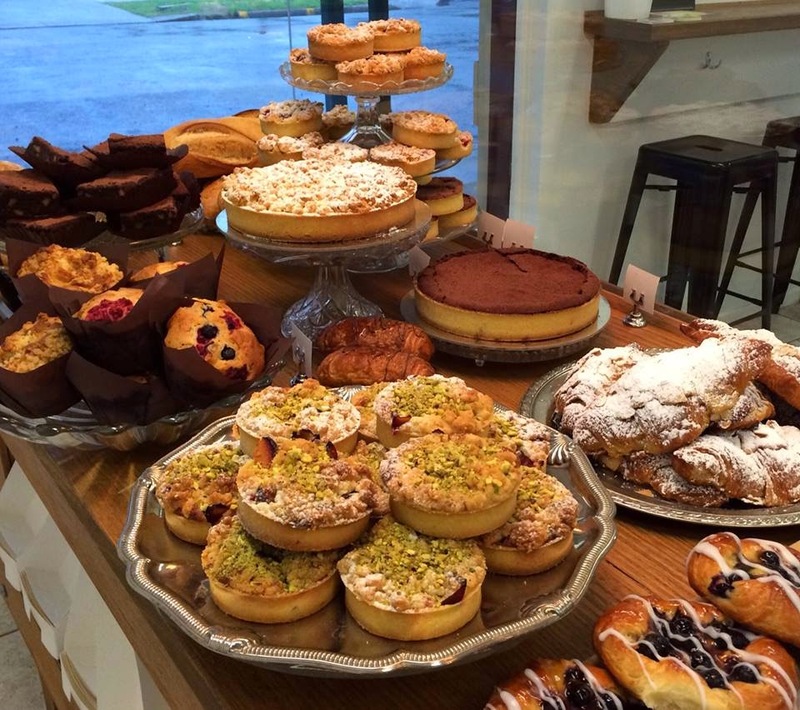 If you are in the Newcastle/Maitland area, drop by to check out the tiny patisserie...and the cakes and great coffee! 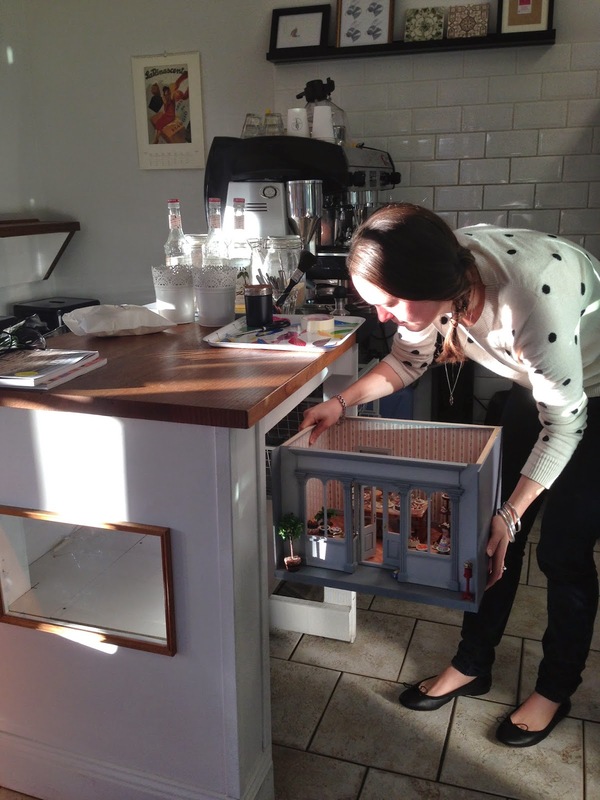 The hole in the counter for the patisserie was prepared with a frame and glass (to keep little fingers out). Behind, a ceiling was created which had an LED light, so the cakes could be seen. 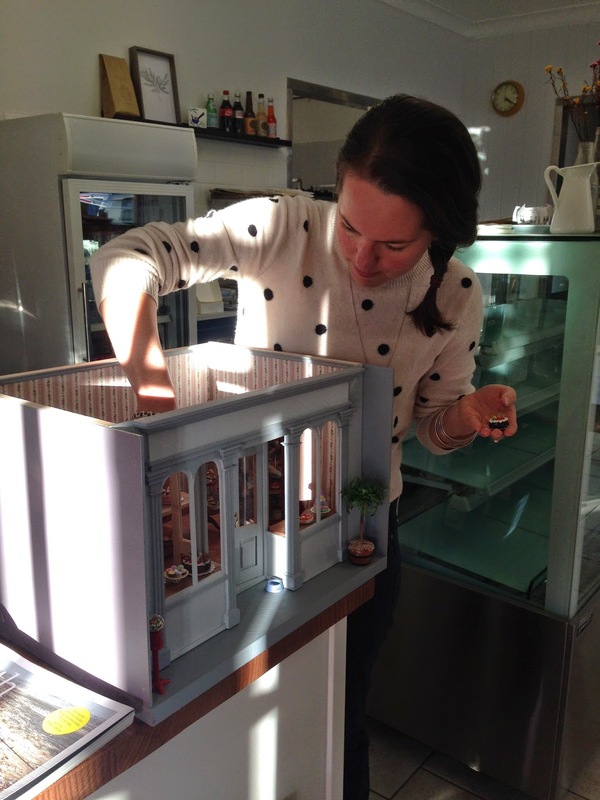 The patisserie was then lowered back into place after its window display updates. 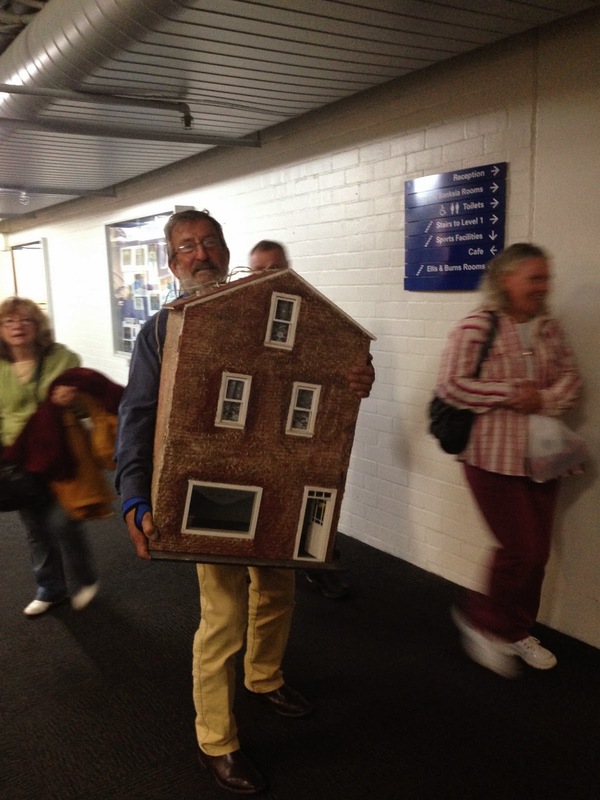 On the weekend I flew from Melbourne to visit the Sydney Miniatures Fair. The show was great, with many talented craftspeople selling their creations, as well as lots of bargains and miniature treasures to be found. I met up with some fellow miniature bloggers, some of whom had stalls for the first time this year. This included Margeret from My Petit Parterre (above) with her beautiful faux aged French provincial furniture, also Norma was there from Make Mine Mini with her lovely range of kitchen settings (below) and Anna-Maria from The Shopping Sherpa. 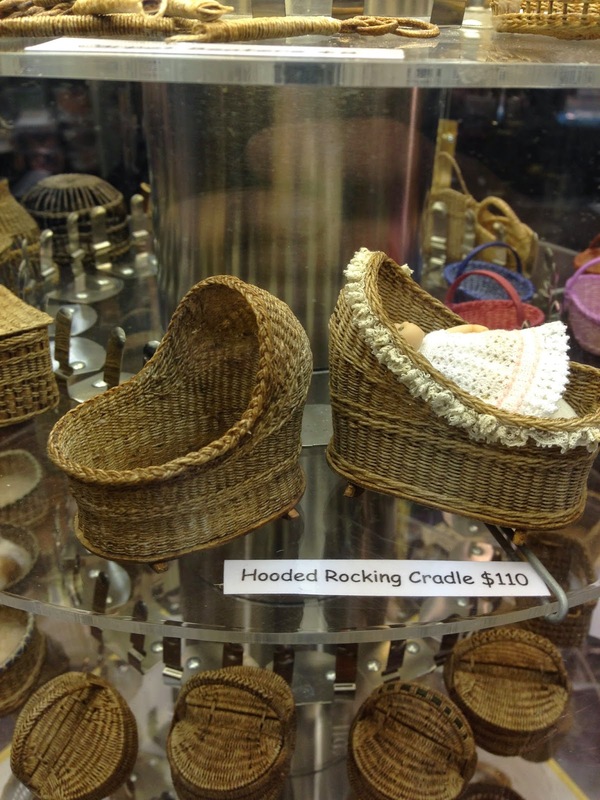 There was a nice range of hand crafted furniture and miniatures as well, it was well worth the trouble. For those who love smaller scales, Vicki Taylor from Just Quarters had a great range of furniture and accessories (below). I was able to buy an LED lighting system from her to use in my new half scale house. 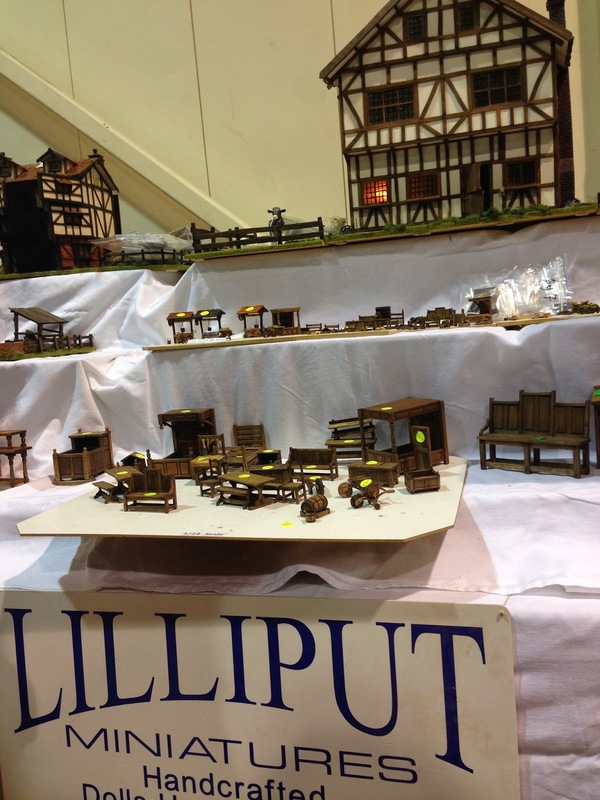 Lilliput Miniatures had a great range of tudor furniture in both 1:12 and 1:24 scale, all hand crafted. 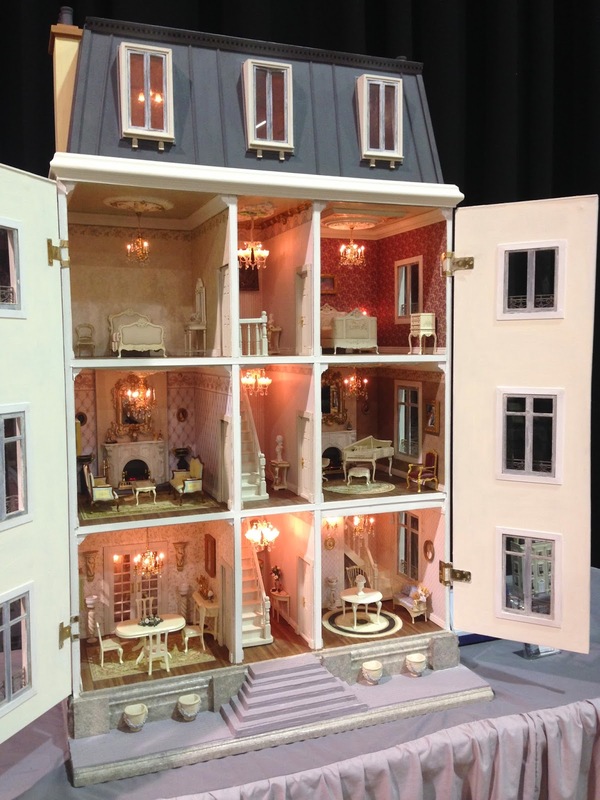 There were also some wonderful displays of dollhouse projects, including this beautiful French style mansion. French provincial really is in Vogue! Some bargains were also had, and it was a great show!